A pod of some the ocean’s most fearsome and awe-inspiring predators have been caught on camera chasing a terrified seal up a Shetland cliff face. Three long distance Scottish swimmers are to attempt a 25-mile crossing of the Minch - hoping to become the first ever to complete the swim and defeat swarms of stinging jellyfish. When Catriona Macgregor brought her tour group to Orkney from America, it was to mainly to see puffins. 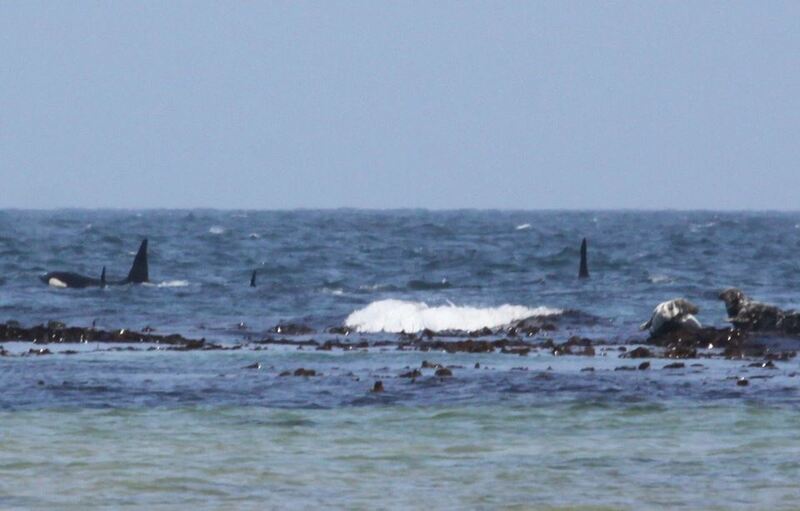 Sea life enthusiasts have been treated to a rare sighting of killer whales off the coast of the north-east. Inquiries are being made by police in Shetland after two reports were received about boats travelling close to pods of orcas earlier this week. Hundreds of sea life enthusiasts have been treated to a bonanza of sightings off the Moray coastline. The public are being warned to stay away from a dead giant whale that washed ashore in the Outer Hebrides yesterday amid fears that it could explode. A dead orca has washed up on a beach on an island near Walls. A terrified seal pup has been captured on film seeking shelter from a pod of killer whales by hiding beneath a boat. The youngest member of an orca pod which regularly visits Highland waters has been named after a public vote. 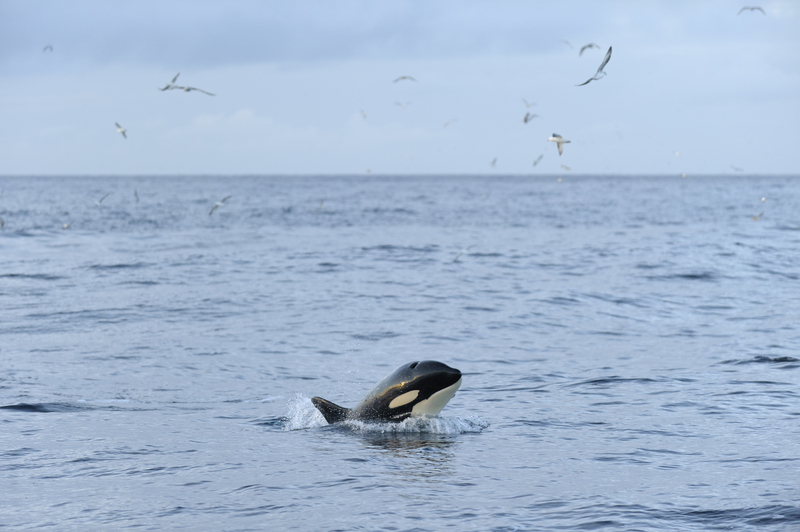 A group of killer whales could have departed their traditional hunting grounds in the waters of Orkney and Shetland to prey on seals in the Moray Firth. Mussel farmers, Lyndon and Theo Mouat, got a bit of a surprise when they came across a pod of orcas in Wester Sound at Walls, Shetland. VIDEO: You’ve seen orcas and seals…but have you seen them do this? At the moment there doesn't seem to be a day that goes by when there isn't some report of someone spotting some orcas or seals. This is the moment a sleekit seal defies the food chain and escapes from one of the ocean's most deadly predators just as it started to attack. An orca expert has said recent killer whale visitors to Shetland are regulars in the summers. Some exotic visitors will soon be arriving in the waters of the north of Scotland. A killer whale that sparked widespread attention when it swam into a Northern Irish city almost 40 years ago is still alive and living off the west coast of Scotland, experts have found. Toxic chemicals could be behind the impending extinction of Scotland's only resident pod of killer whales, a new report has suggested. The killer whale found dead on a Hebridean beach this week was killed when it became entangle in fishing gear, a post mortem has revealed. 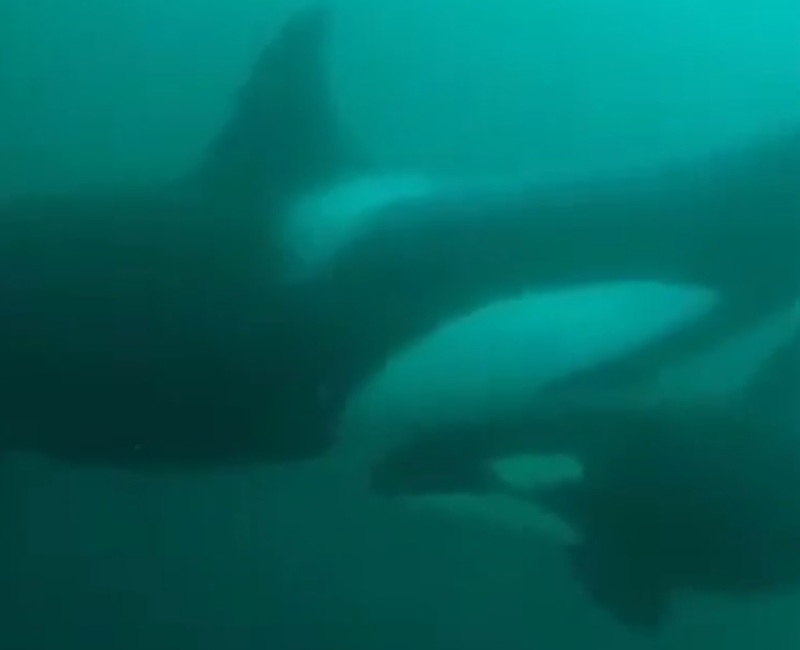 VIDEO: Incredible footage of orcas near North Sea platform! The crew of a North Sea emergency response and rescue vessel were amazed to see a school of orca whales surround their ship, 155 nautical miles east of Aberdeen. 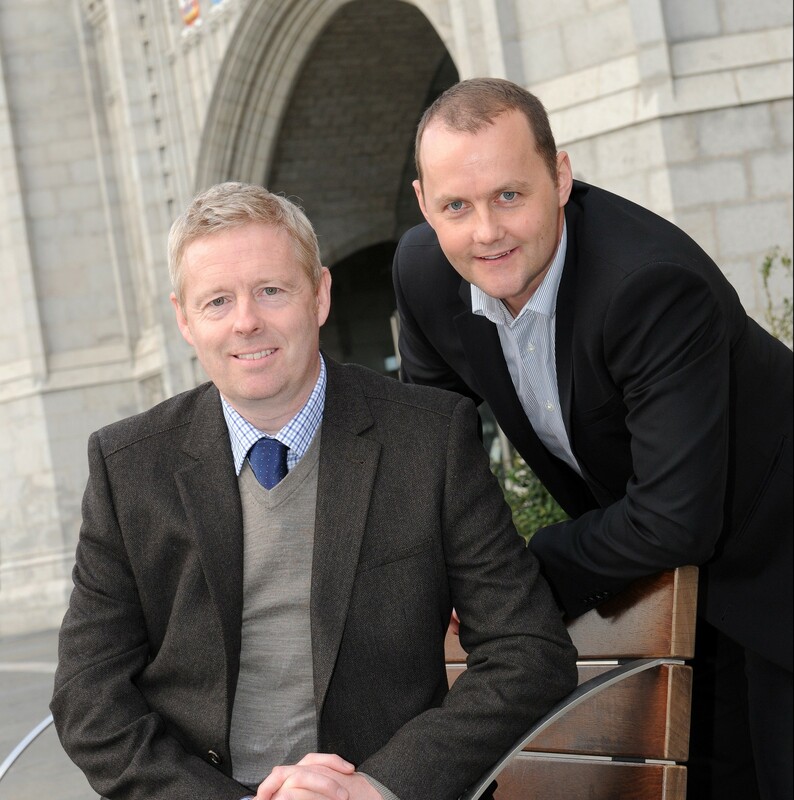 Aberdeenshire firm Orca Telecoms has become the latest business to be snapped up by a bigger English rival. A family of massive killer whales have delighted wildlife watchers by making a surprise appearance off the Buchan coast.